* Check out Planning for Advent and Christmas (2014) for Creche, Wreath, Chrismons, Carols and other season-long plans. * To celebrate the change in the liturgical season and explore the darkness in today’s texts, begin worship with the paraments from Christ the King in place. At the call to worship, remove them recalling what they represented. Dramatically fold them aside noting that we will next see them on Christmas Eve. Then, put the Advent paraments in place. Point out that their color (whether purple or blue) is much darker and quieter. Do whatever Advent education is needed, e.g. > Unlike the stores which are already completely decorated for Christmas (even unlike our homes where the trees are up or going up? ), at church during Advent we take a deep breath to think about all the problems that made it necessary for God to come among us. 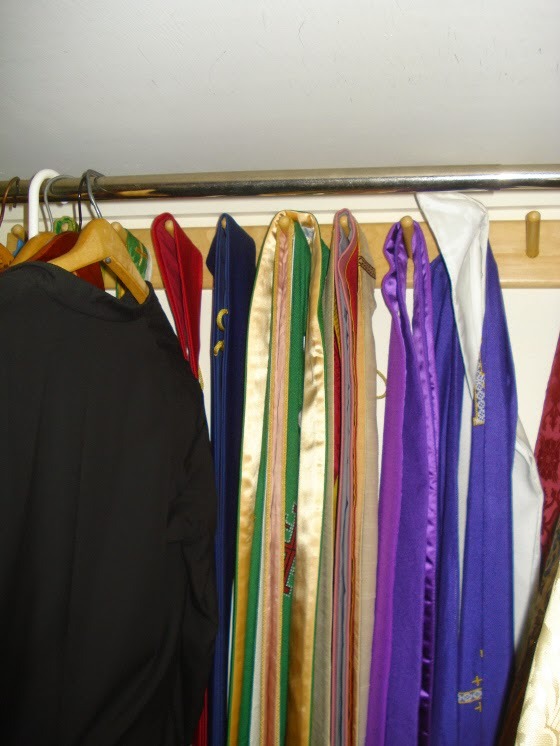 > Highlight some spiritual Advent disciplines individuals and households might undertake, e.g. lighting an Advent wreath at home, etc. > Point to the difference in Advent and Christmas songs. Encourage people to pay attention to the mood of Advent music and to claim at least one Advent song as their own. * Commentator Robert Roth pointed out that all of these texts are full of “we”s. They are about God’s care for and acting through the community. Isaiah says “we” are the clay. In Mark’s apocalypse, we are all swept up in cosmic events. In 1 Corinthians, it is the church rather than individuals who is gifted. Directing worshipers of all ages to this is a good antidote for all the self-centeredness that is bred during the commercial Christmas season. 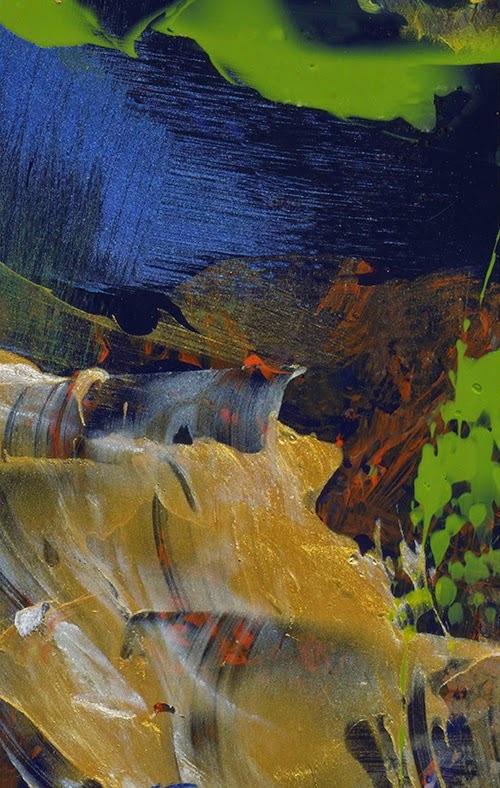 * To explore the feeling of both Advent as a season and today’s particular texts, explore Jan Richardson’s River of Life. Start by talking about the stormy colors in the background. Then look at the wildly tumbling river. Note the sharp waterfalls. Next, turn to the green leaves in the lower right and finally savor to glorious gold that shines in the wild river. Insist that sometimes our lives feel as stormy and wild as this picture AND that in the middle of all the storminess and wildness we find new life and God’s glory. Even add that at the beginning of Advent we think about the storminess of life. As Advent goes on we see more and more of the gold. * Sing “Kumbayah, Lord” (or “Come by Here, my Lord”)as Advent candles are lit each week or in response to prayer petitions about problems in the world today. * Introduce this passage as a group prayer prayed by people living in a time when everything was going wrong. Four readers (actually pray–ers) stand together around one microphone, like a group huddled for prayer and so they can read without pause. Readers may be youth, adults, or a mix of ages (maybe one family with older children and youth). Plan a practice session at which you can explain the post-Exile situation to them and think together about why each prayer was prayed. This time will enable readers to convey a great deal of meaning with their voices. Reader 1: Why don’t you tear the sky apart and come down? The mountains would see you and shake with fear. They would tremble like water boiling over a hot fire. Come and reveal your power to your enemies, and make the nations tremble at your presence! Reader 2: There was a time when you came and did terrifying things that we did not expect. The mountains saw you and shook with fear. Reader 3: No one has ever seen or heard of a God like you, who does such deeds for those who put their hope in him. Reader 4: You welcome those who find joy in doing what is right, those who remember how you want them to live. Reader 1: You were angry with us, but we went on sinning. In spite of your great anger we have continued to do wrong since ancient times. Reader 2: All of us have been sinful. Even our best actions are filthy through and through. Reader 3: Because of our sins we are like leaves that wither and are blown away by the wind. Reader 4: No one turns to you in prayer. No one goes to you for help. You have hidden yourself from us and have abandoned us because of our sins. Reader 1: But you are our father, Lord. Reader 2: We are like clay, and you are like the potter. You created us, so do not be too angry with us or hold our sins against us forever. All: We are your people; be merciful to us. * If you have a Hand of God Chrismon ornament, display it today (perhaps during the sermon). Explain that it is a symbol of hope that God would indeed reach out to us in our lost, broken mess. God did reach out to us in Jesus and God continues to reach out to us every day. * The fact that for American congregations the First Sunday of Advent is also the Sunday after Thanksgiving this year makes it an excellent time to explore disappointment. Isaiah is living among returned exiles who are finding that their lives back in the Promised Land are not as wonderful as they had imagined. There are real problems and hardships. They are deeply disappointed. Hopefully most children had a great Thanksgiving weekend. But, many children have had a Thanksgiving weekend that was less than they had hoped. Relatives were demanding. Older children had to sit at a table with younger children and look after those children far more than they wished. And, people may have simply gotten cranky. NOW, Christmas with all of our expectations of it lies ahead. Will we be disappointed again? The fact is that we are often disappointed. Life is not all we dream it will be. Even trips to Disneyworld have downsides. On the first Sunday of Advent we admit that to ourselves and each other and turn to God for help. 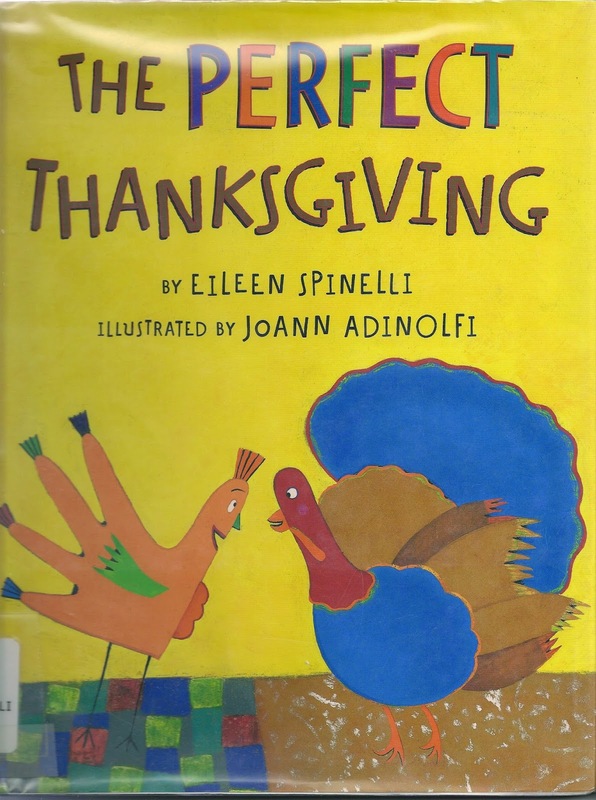 * The Perfect Thanksgiving, by Eileen Spinelli, compares the Thanksgivings of two very different families. In Abigail Archer’s family “Their turkey is plump and golden. Their napkins are made of lace. Their table is lit with candles. They all hold hands for grace.” In the narrator’s family “Our smoke alarm is wailing. Our turkey, burnt as toast. Dad spills the gray down his shirt – a less-than-perfect host.” But the last page concludes “But we’re alike in one way, the nicest way by far – alike in just how loving our different families are.” The art on this page awards both family “love ratings” of “ultra perfect.” Use it to explore our disappointments in our holidays and our families and to underline what is really important with both. This conversation is a good launch into Advents texts about disappointments in the world that is less than God intended it to be. 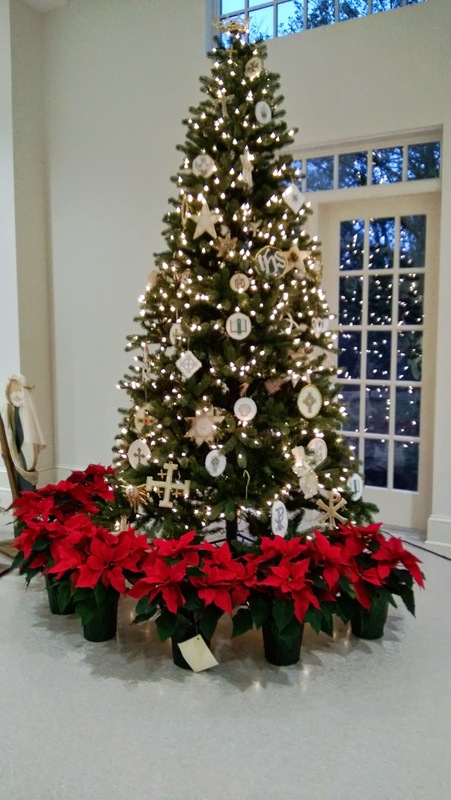 * After exploring the disappointments in Isaiah and the darkness in Psalm 80, sing “O Come, O Come Emanuel.” Children will not understand many of the words, but can follow the very different feelings in the music of the verses and the chorus. Try singing it responsively with a choir singing the verse and the congregation singing the choruses. Practice the chorus once so that young readers are ready to sing along and the congregation is ready to sing with real joy. Let your face shine so that we may be saved. * Take time to identify all sorts of darkness in the world – everything from brothers and sisters fussing, families fighting, friends who turn on you, to world hunger, political gridlock, endless wars, financial insecurities. * Give children (or all worshipers) a gray sheet of paper and pencil. Challenge them to write words or phrases or draw pictures describing things about the world that are dark, broken, messed up. Gather them as the prayer of confession. Either, invite people to call out one item on their page to which the leader and congregation reply, “Lord, we are broken people.” Or, invite worshipers to pass all the papers in with ushers bringing them forward. A worship leader then reads a few items from some of the pages to which the congregation responds with “Lord, we are a broken people” then spreads the pages on the floor near the Advent wreath. Finally, go to the wreath, pronounce an assurance of pardon and light the first candle of the Advent wreath. * If turning out or down the lights would make a difference in the light level in the room, start the service without the lights. When the assurance of pardon is announced and the first candle of the Advent wreath is lit, turn on/up the lights. 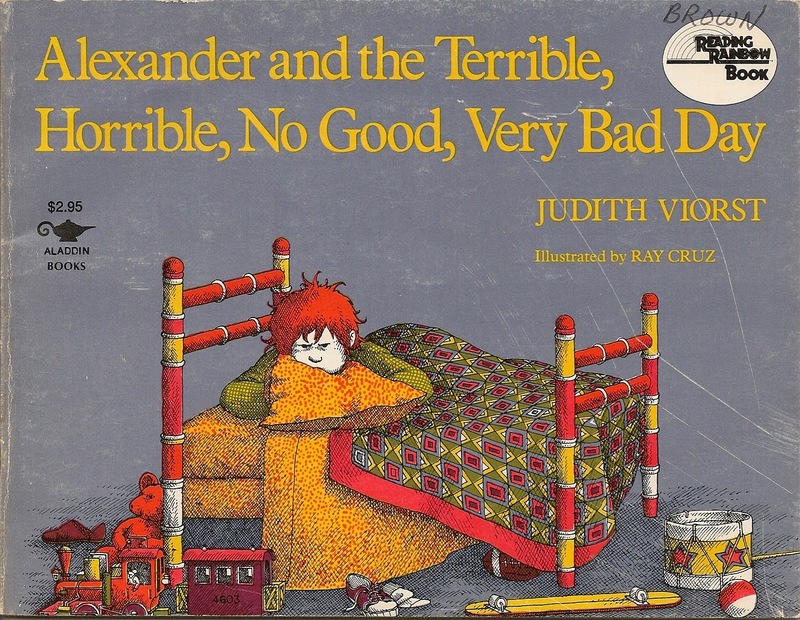 * Alexander and the Terrible, Horrible, No Good, Very Bad Day, by Judith Viorst, is a child’s version of the complaints of the psalmist. Read all or part of it, then imagine everyone having a day like that every day for years. Point out that life sometimes it feels like that. In such times we know we can do nothing to save ourselves and like the psalmist we can only call on God. 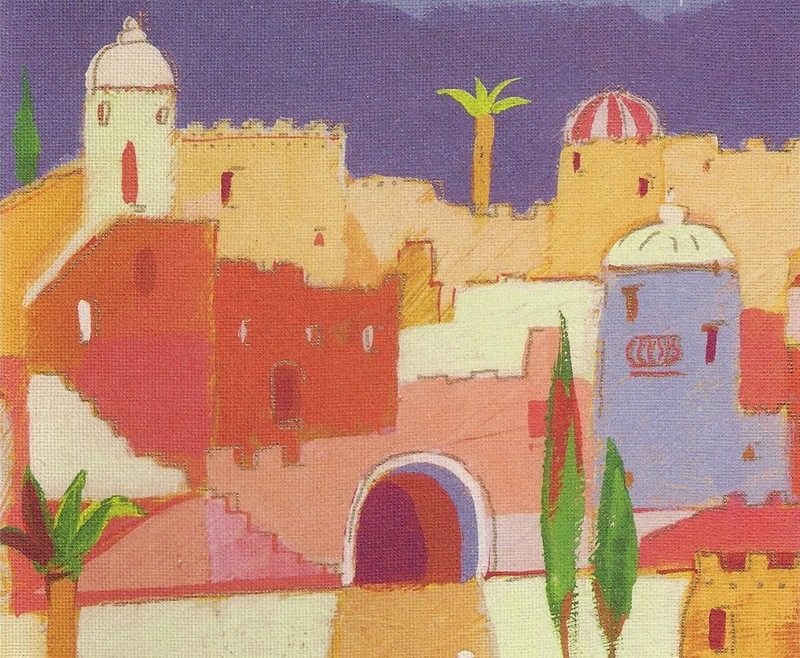 * Surprise worshippers by including “O Little Town of Bethlehem” in today’s worship, omitting verse 2 (too Christmas-y). Before the congregation sings it, read through verses 1, 3, and 4 pointing out all the darkness and the hope that God will rescue us. * In the sermon name the gifts you see at work in the congregation being sure to include some gifts that children will both appreciate as gifts and in which they participate, e.g. singing in choirs or hospitality to visitors. from Art in the Christian Tradition, a project of the Vanderbilt Divinity Library, Nashville, TN. http://diglib.library.vanderbilt.edu/act-imagelink.pl?RC=55235 [retrieved October 31, 2014]. * Apocalyptic literature flourishes among people who feel under siege. That can include many of us facing news of terrorist threats, climate extremes, financial meltdowns, political gridlock, the list goes on. For children the list includes impossible teachers and coaches, bullies, trying to make sense of difficult school subjects, dealing with problems at home, their lists go on, too. To introduce children to the images in Mark’s apocalypse, compare confronting all these big problems with facing the monsters in Harry Potter or The Chronicles of Narnia. Few elementary school children will fully grasp the connection, but most will at least hear that these strange words in the Bible are to be read differently than some others. * The Roman Catholic Lectionary calls for a more focused reading: only verses 32-37. The shorter length and more concrete language make this a better choice for children. * Children have experiences that help them understand the parable about the servants. The teacher has left the room having assigned everyone work to do. Parents ask them to do some task while the parent is in another part of the house working on something else. I can tell a story of hiring a neighborhood boy to take care of my two cats while I was out of town. When I returned a day early, I found the cats’ water and food bowls empty, their litter box full, and a crushed soda can from the refrigerator on floor. - One half of the congregation sings the Watchman lines with the other half singing the Traveler lines. I just brought Passing the Music Down, by Sarah Sullivan, home from the library. It describes the lifelong friendship between an older and younger fiddler. While it is way too long to read in worship, it would be a great model to describe for Christians making music, studying, and doing all sorts of service together. Storypath matches it to the 1 Corinthians text for today.